This month’s Far Away Places series featured Professor James Siekmeier, historian from West Virginia University. 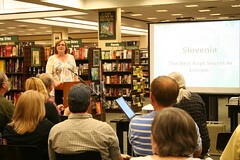 He talked about “Bolivia and the United States: The Ties That Bind and Constrict” on Thursday, April 21 at Barnes & Noble Bookstore, Bowling Green, KY. His talk was followed by a heated discussion and book signing. 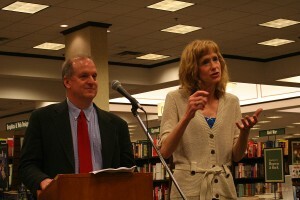 Dr. John Dizgun from KIIS and Dr. Holli Drummond from the Department of Sociology, WKU shared their research discovery in youth and gang violence in Medellin, Columbia with a large audience at Barnes & Noble on the evening of Thursday, November 18. Their presentation was part of a Far Away Places talk series sponsored by WKU Libraries. We apologize that due to malfunction of our recorder, the podcast of this great event was unfortunately unavailable. 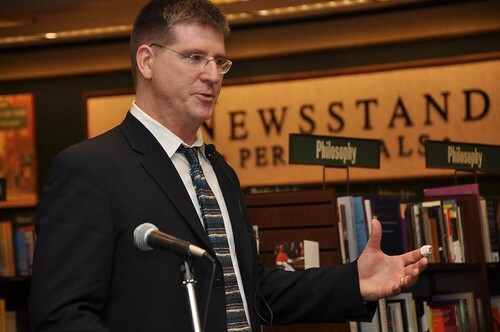 Dr. Ron Fritze, Dean of Arts & Sciences at Athens State University, spoke on “Prince Madoc and the Welsh Indians: A Myth” and other topics on pseudohistory and pseudoscience in this month’s Kentucky Live! 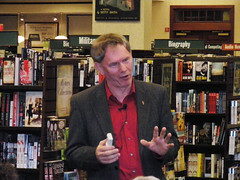 talk at Barnes & Noble this Thursday, February 11th. Ron is the author of ten books on a variety of topics including: Legends and Lore of the Americas Before 1492 and New Worlds: The Great Voyages of Discovery, 1400-1600. His newest book Invented Knowledge: False History, Fake Science and Pseudo-religions has been drawing international attention including a featured review in the Times Literary Supplement in London. Ron will be signing copies of his new book following his presentation. This talk series is sponsored by the Friends of WKU Libraries and the Kentucky Museum. David Keeling, head of WKU’s Geography and Geology Dept. 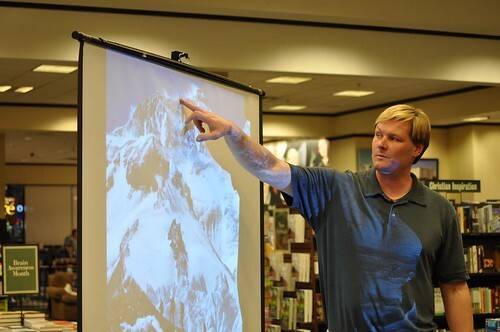 spoke to a large enthusiastic crowd on Namibia at this month’s Far Away Places series at Barnes & Noble this past Thursday, October 1. Keeling most recently visited Namibia in November, 2007 as expedition lecturer for the American Geographical Society sponsored “Casablanca to the Cape” educational expedition. His prior visits included trips to the Skeleton Coast, Windhoek, and the Fish river canyons. David is WKU’s most well traveled faculty member. In 2008 alone his travels covered 133,840 miles.